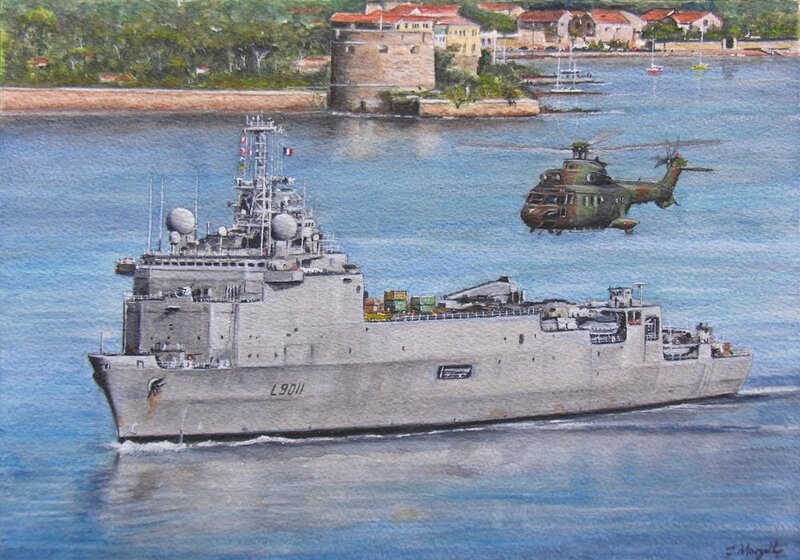 Watercolour painting 13 x 9 inches of the French Marine Nationale the Foudre (L9011) which is a landing dock platform amphibious ship. Seen depicted with a Super Puma helicopter against a Mediterranean coastal scenery. The Foudre L9011 ship was sold to the Chilean Navy in 2011. Original painting SOLD.